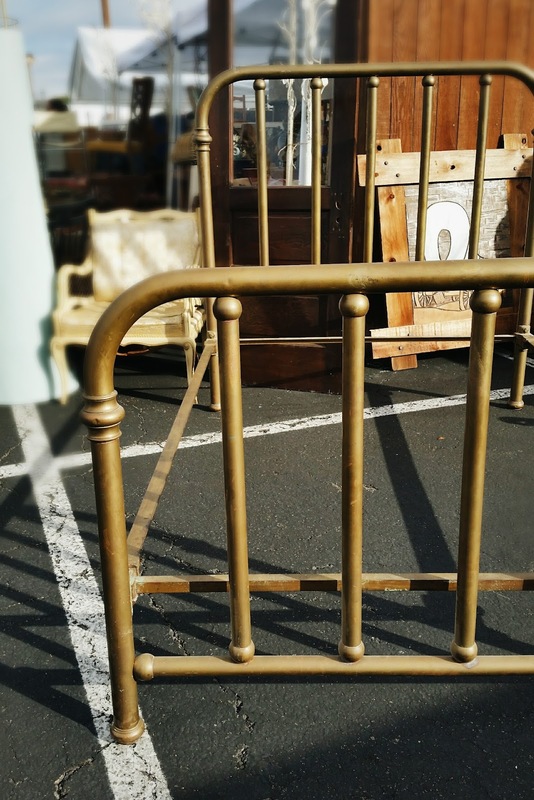 If you have never visited a flea market or thrift store you are missing out! 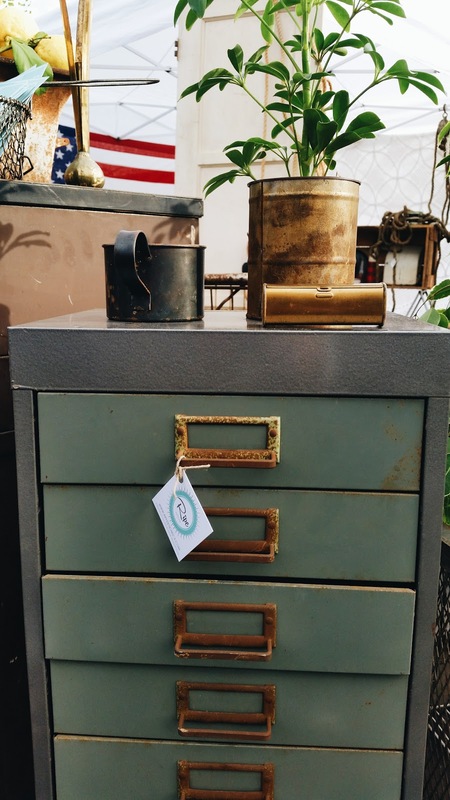 There are so many one-of-a-kind treasures that you may find while thrifting or walking through a flea market. 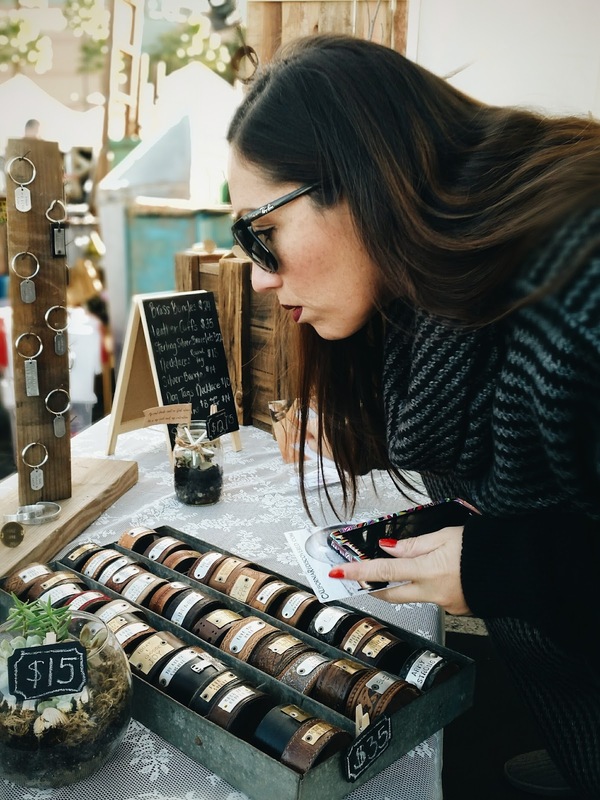 Even if you aren't into vintage items for your home, there are small vendors that sell new handmade items like jewelry, soaps and clothes. I highly recommend you check one out this year. 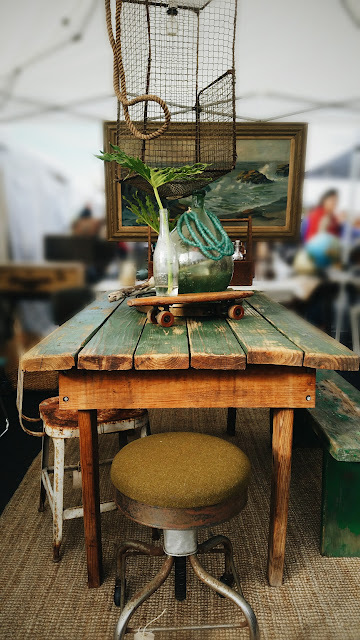 Not sure where your local flea markets are? Well, take a look at this Flea Market Directory from Shopify to get started! Dress comfortably and in layers. The weather can change from early morning to the afternoon. You're also going to be doing a lot of walking so wear comfortable shoes and clothing; but look pulled together peeps! 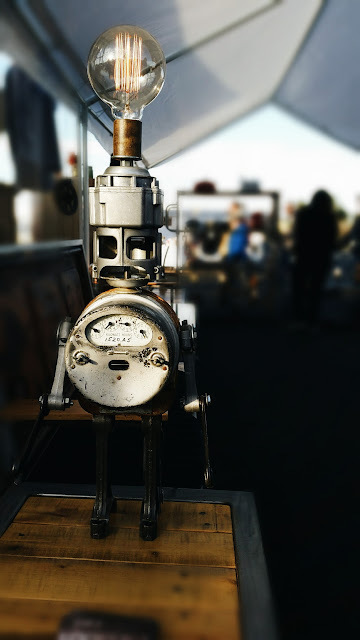 There are some cool creatives out there scouring the flea markets! I don't mean you should get all dressed up, I just recommend to take pride in your appearance. 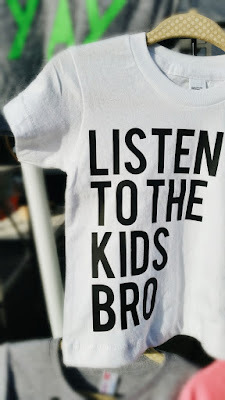 (Just sayin'.) This pretty much goes any time you go out, right?! Take a backpack or duffle and maybe even a cart so that you can easily carry around your purchases. 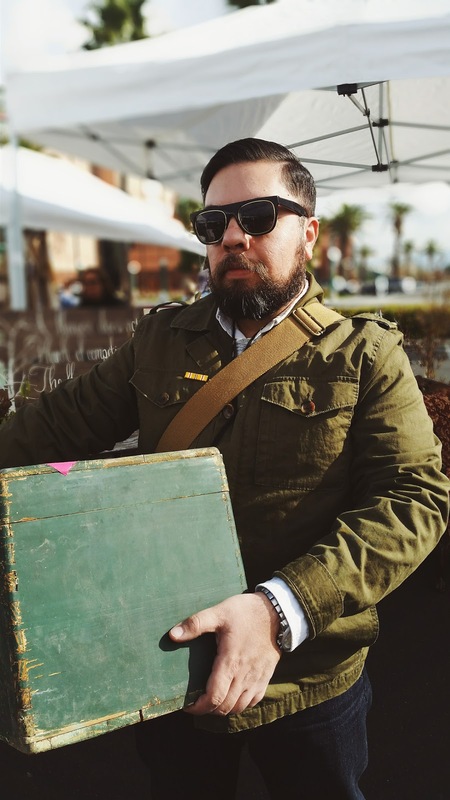 By the way, if you purchase an item that is a bit too large or heavy to carry around, ask the vendor if they can hold it for you after you pay for it. Most vendors can hold your purchased item and will put a sold sticker on the item with your name written on it. All you have to do is remember to pick up your item before you leave. Take cash with you. Some vendors accept credit, but why risk it. Be friendly! The vendors are happy to answer any questions you may have. They even expect a bit of haggling as long as it is reasonable and you remain friendly and respectful. If you are really interested in an item but wish it was a few dollars cheaper, then just ask if they can go down a bit. Arrive early to get first dibs. Flea markets allow early entrances to the public, you just have to pay a bit more for the entrance. I recommend arriving early if you want to find some larger pieces or maybe furniture. Arrive late to get better deals. 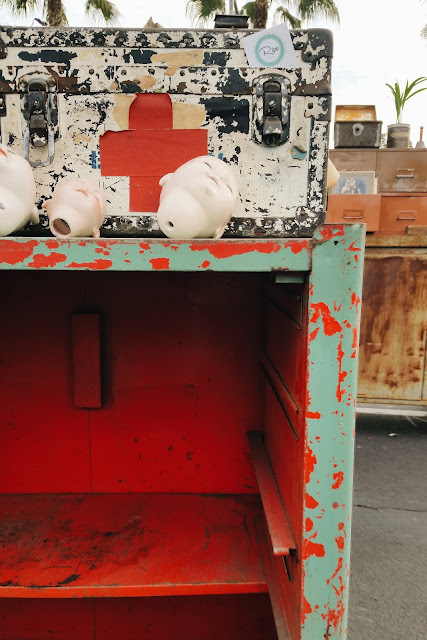 It's a lot of work for vendors to pack things back up so they may be more eager to sell things at the end of the day which can get you a better deal. I visited the Trading Post 1908 l for the first time last winter and I LOVED IT. It is a smaller sized flea market and very easy to manage. I felt a sense of fulfillment knowing that I was able to visit every vendor. I didn't feel like I missed anything. I also want to share with you that they will be holding their next market this Friday and Saturday! This time, Trading Post 1908 will be held indoors at the Anaheim convention center. The first day, Friday, will be held in the evening!!! Oh, and there will also be wine and beverages! (Of course that's a huge plus in my opinion). 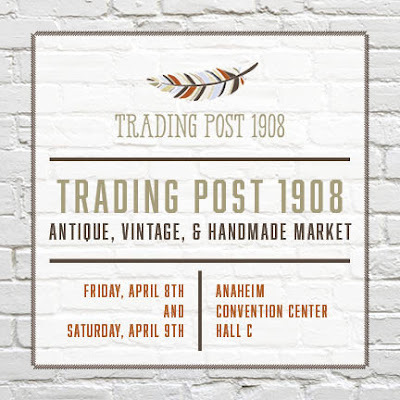 Trading Post 1908 started when lover of antiques, Kelly Rogers opened up a booth in Orange, CA. 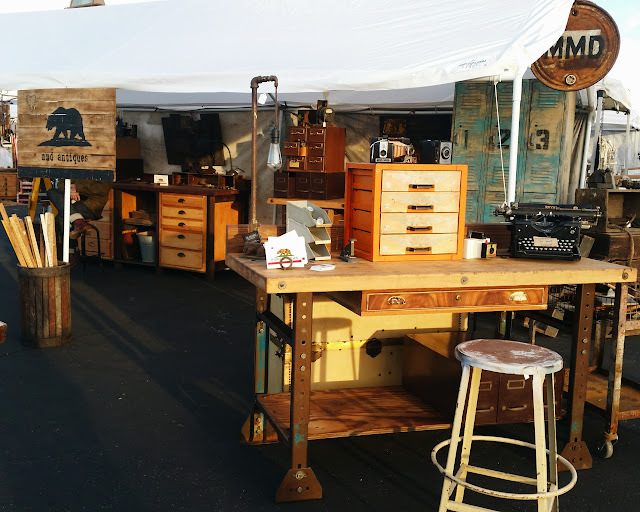 Kelly later teamed up with friendsto expand what is now a full on flea market! Kelly loves helping small vintage stores and hand-made sellers market their businesses. Oh my GOSH I almost died when I saw this brass bed! It was super affordable too! I just don't have any room for it. Sadly, I had to leave it. 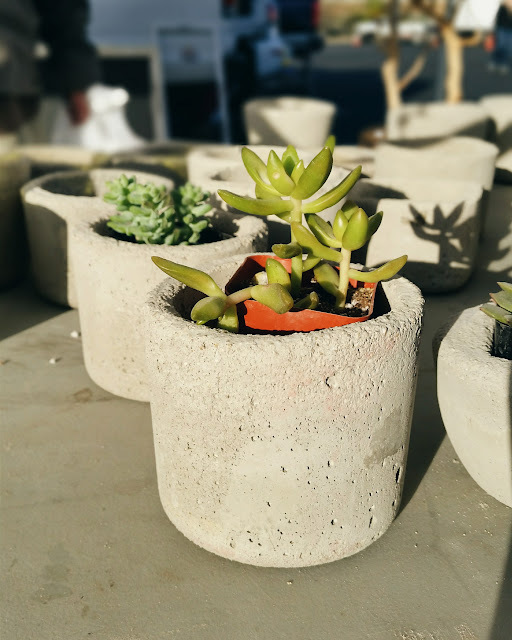 cool cement planters from Yankee Hawker. OK, how awesome are these lamps?! Hand made by "Artistic Tinkerer" Jim Turner from Lockjaw Garage in San Dimas CA, these beauties can add some cool industrial style to any room! I would love to incorporate one of these in a kid's room. On a high shelf or dresser of course. I especially love that most of his lamps are turned on my simply touching the lamp. 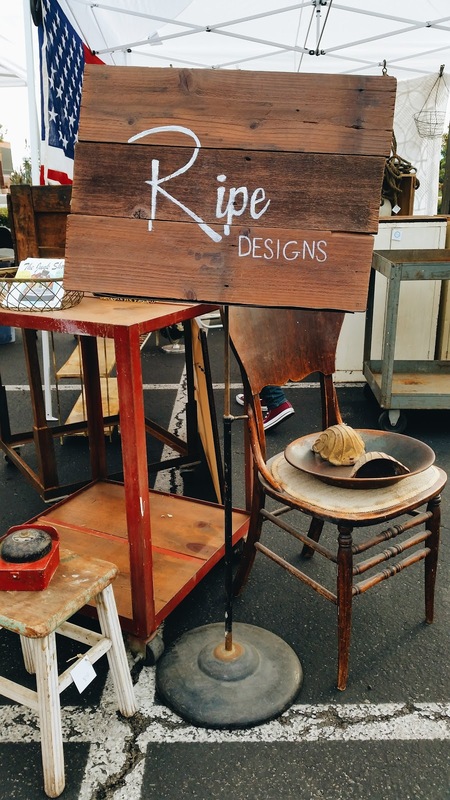 I also got to stop by and see my friends from Ripe Designs which I have been following on Instagram for a while. I met Tim, and hopefully will meet Kim next time! Go check them out for awesome Mid-century modern and vintage finds. 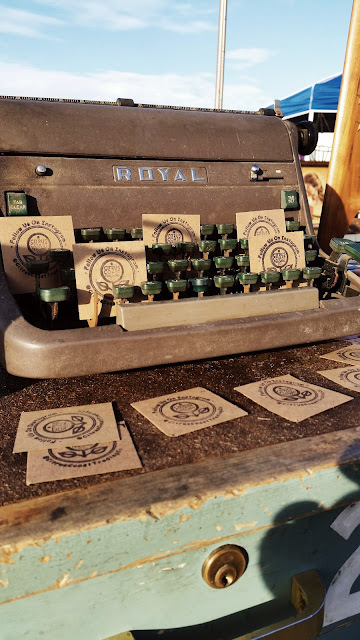 Ripe Designs at the Trading Post 1908. 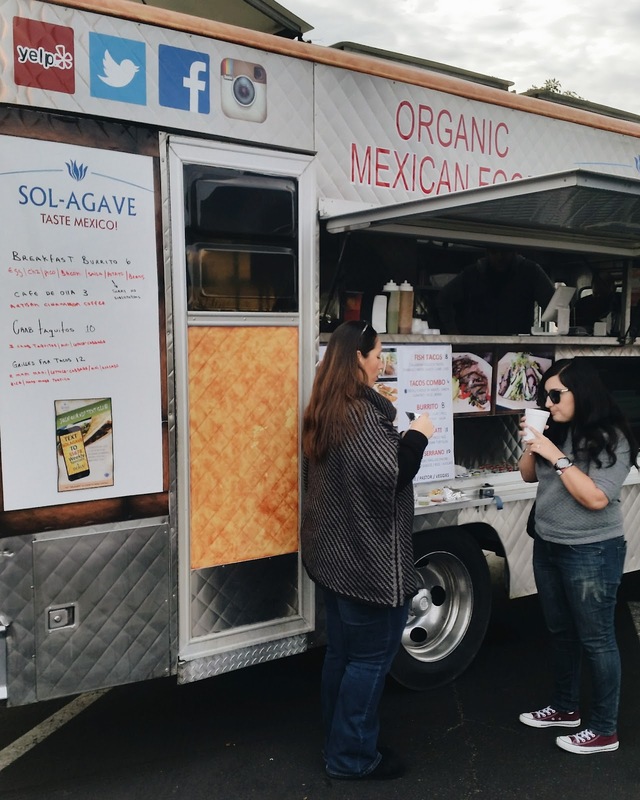 There were also food trucks on site! You know that's a plus for me! 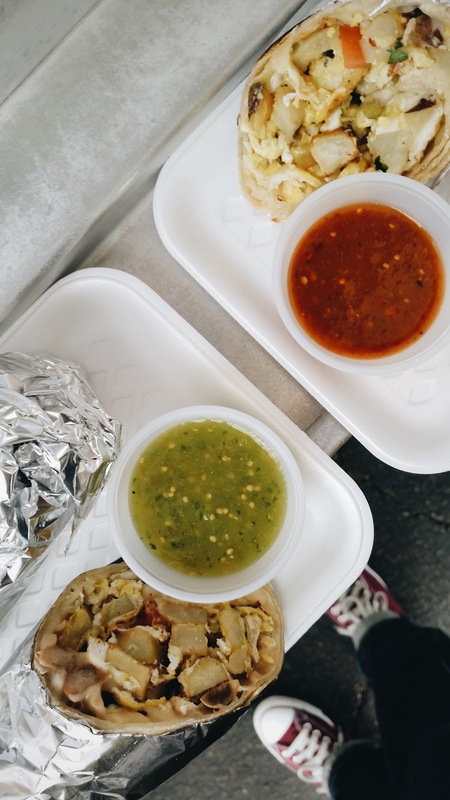 We decided on Mexican breakfast burritos from Sol-Agave and oh my gosh, let me tell you... THE BOMB. And not only were the burritos good; the "cafe' de olla" was amazing! Cafe' de olla is a way that coffee is prepared in Mexico. The coffee is prepared in clay pots with cinnamon and "piloncillo" which is a very sweet candy. 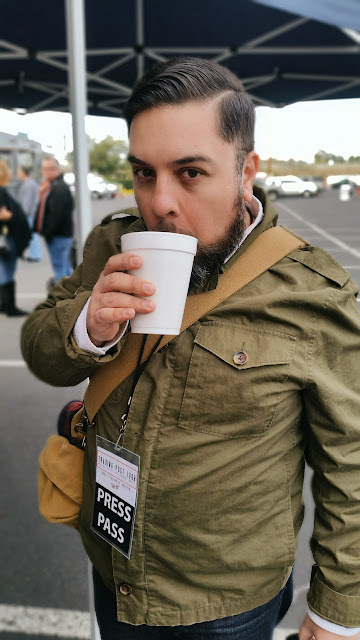 The coffee is dark and very sweet so DON'T add sugar to it! It is such a delicious treat. 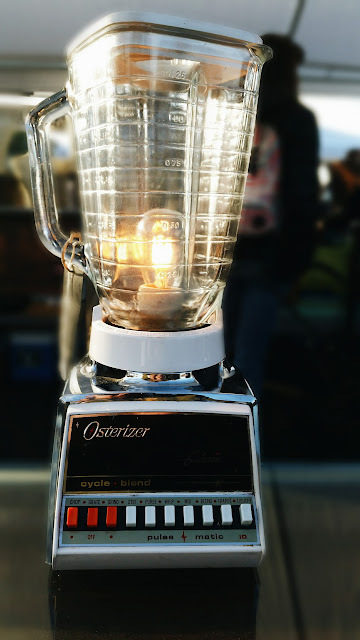 There are also many vendors in flea markets that sell new items. Many of these items are hand-made by local shops. My sis and wife usually enjoy looking for jewelry when they accompany me to the flea. 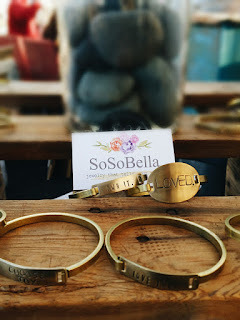 We also stopped by Valene Wozny's tent to check out her infused jewelry at Heal Meow. 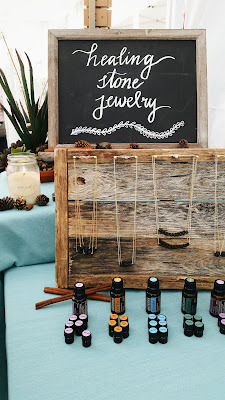 Valene's jewelry contains beautiful lava stones that are infused with some wonderful mixes of essential oils. Wearing them keeps the scent close to you and can help you with your mood. Cool stuff! And yes, the girls each came home with a bracelet and necklace. Ending my post with this stunning display from Furniture Queen at the Trading Post 1908. I loved everything about this collected and eclectic look. And that green table...gorgeous. Furniture Queen at the Trading Post 1908. 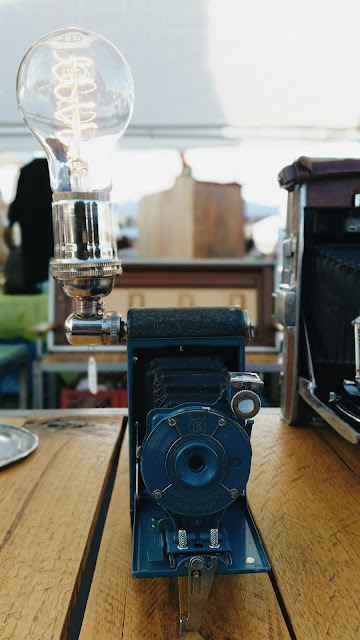 I hope that my shots of our trip to the flea market and my tips will encourage you to visit your local flea markets. Remember to stay open-minded about what you're going to find. If you have never incorporated anything vintage into your home, give it a try with at least a small item. It could be a demijohn bottle or a stack of vintage books on your coffee table. 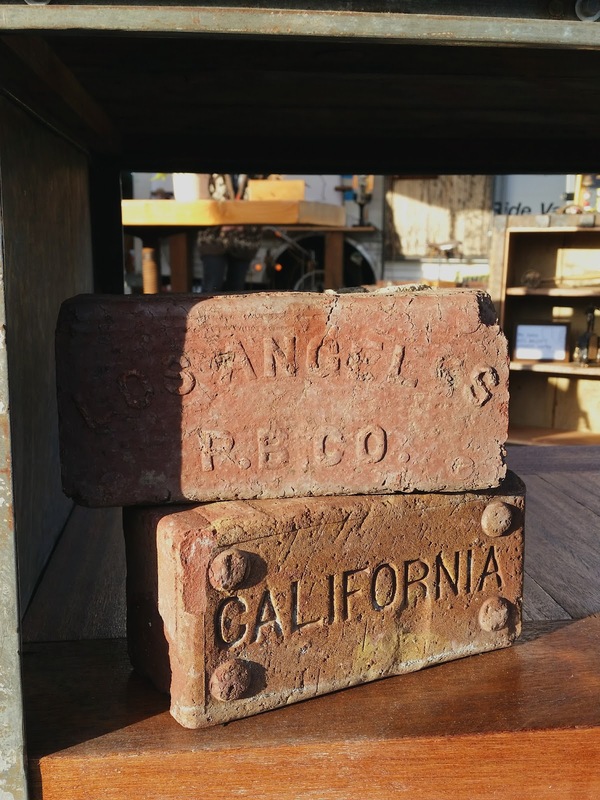 Adding one-of-a-kind items with a sense of history brings so much personality to a space. The next venue will be held this weekend, April 8 & 9 2016. Click HERE to get your Groupon! It will be slightly different. Its indoors, in the evening (on Friday) and DRINKS!!!!!! See you there this Friday! Happy 2016 everyone! Leave a comment, let me know what you think about flea markets. Have you "flea-d?" WOW! This looks so amazing! I want to go shopping with you..haha! Such neat items. This came out AWESOME! I wanna go to the Junk Bonanza!